A nice chunky lip pencil is a lot of fun to use. I like 'em best when they're cute, glossy and self sharpening. Until recently I only knew of Clinique's Chubby Sticks (this one's my fave), but Revlon's Just Bitten Kissable Balm Stains and Urban Decay's Super Saturated pencils are also on my list. 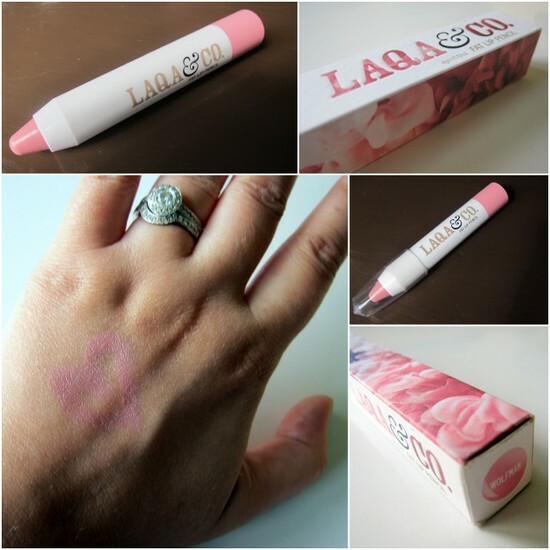 But they can wait a while, because this Fat Lip Pencil from Laqa & Co has completely stolen my heart. And how could it not? This US brand, available from ASOS, specialises in 'pens of awesomeness.' Adorably designed and quirkily named, this is a really cute niche brand that focuses on just two products - these lip pencils, and a range of nail polish pens. They come beautifully packaged, too - the artwork on the boxes is by young designers who receive a percentage of each product sold. I was sent Wolfman, which is a pretty baby pink and one of five available shades. The flower adorned box is gorgeous and was designed by Mark Mawson. I really love the colour and can see it getting a lot of wear - it's perfect for everyday, or to pair with a smokey eye. Texture wise, this feels quite firm on initial application but it warms up a little on the lips and feels nice and smooth - after I'd rubbed my lips together there was a nice bit of slip and it feels really comfortable to wear. The colour lasts a decent amount of time, which I wasn't expecting, and there's no sharpener required; just twist up for more product. A final bonus? It smells good too - vaguely minty, though there's no taste. These are €22.12 from ASOS, and the nail pens are €15.21 - check out the full range here and tell me, whaddya think? Would love to try this! Looks cute! Oh now, isn't that purrrty! I'll deffny be checking these out - one can never have too many 'Pens of Awesomeness'?! That's really pretty... I have this in Lamp Chop, a brighter pink, which I love - but can not find it booo!!! So pretty! 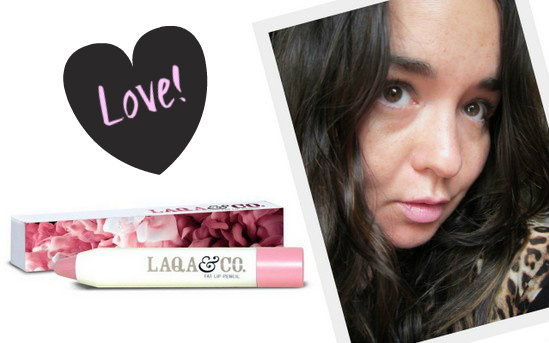 I have never tried the lip pencil/crayon but want to give it a go!! Hope you are having a wonderful day! Ooh, I want to try that! I love lip stains lip colors that feel more like chapstick than gloss, so it sounds like this might work for me. The packaging might be my favorite part. It sounds like a great product. I need to check it out! Oh thats so pretty!! I'm a sucker for good packaging!! Great post! Emma, I don't know what it is but I've yet to try these chubby pencils that dub as both lip pencil/stick/gloss. Definitely need to try it soon! Ohh i really like the look of this and that pale pink colour is so pretty, perfect for everyday wear. Hm, never heard of Laqa & Co., but I will keep my eye out for it. My current favorite lip pencil is Tarte LipSurgence! People probably come to your blog and tell you this all the time, but... I've been to Ireland! It's been a few years, but it was one of my favorite trips ever. That is such a nice shade. I have never heard of them before, but I will be on the lookout! Oh wow! Better than the Clinique Chubby Sticks? That says A LOT! You definitely got my attention. Looks great!